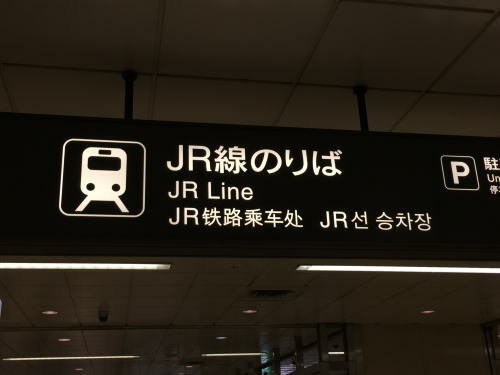 If you arrive at Narita airport, go to JR Line. 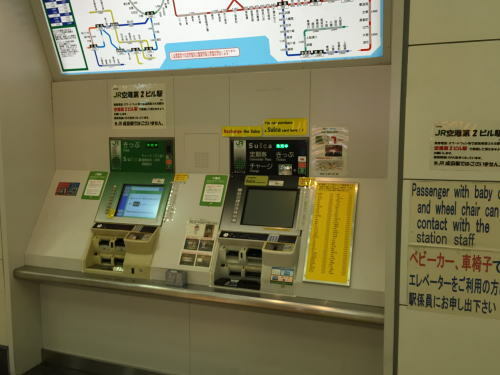 You can go to Tsuga station from Narita Airport by using a train ticket or ※Suica card. 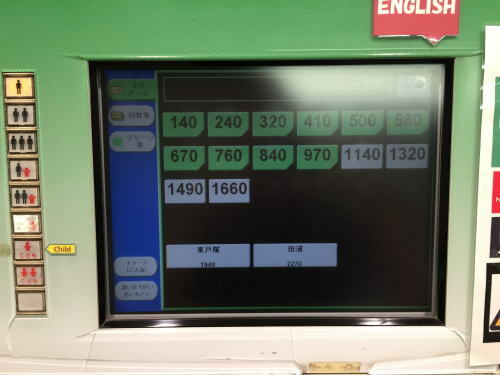 ※Suica is a rechargeable contactless smart card used as a fare card on train lines. 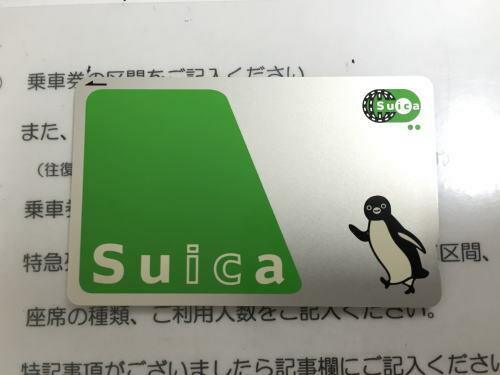 You can use this card in convenience stores, on vending machines, on monorails, buses, and so on in Japan. 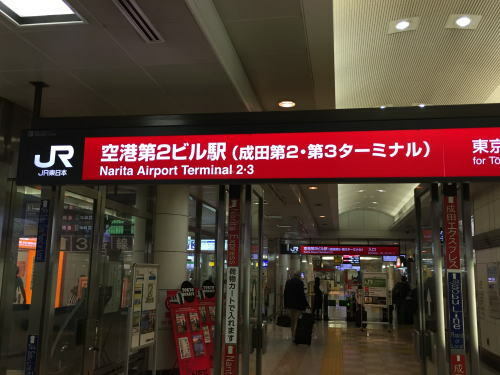 Take a JR rapid train from Narita Airport station. 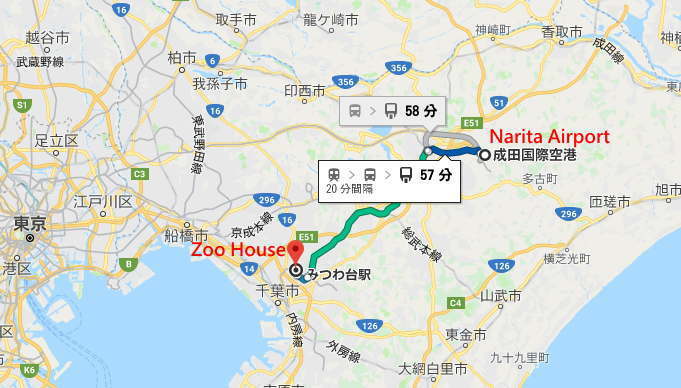 Attention : The "Narita Express" does not stop at Tsuga station. 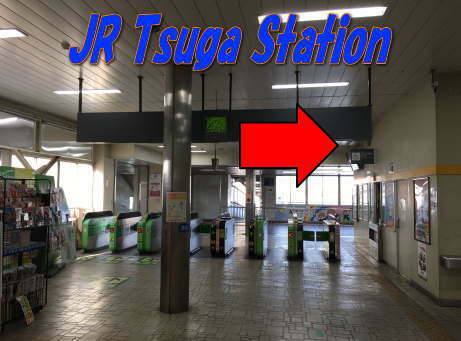 Get off the JR train in Tsuga Station. 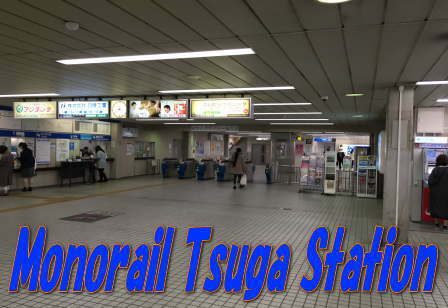 If you arrive at JR Tsuga station, go to Chiba Urban Monorail. 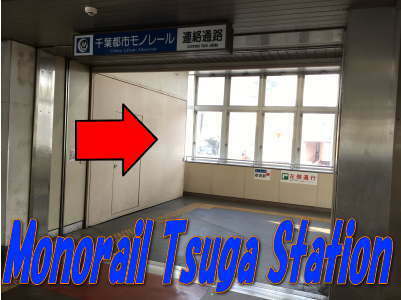 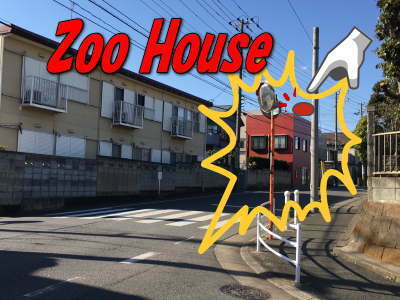 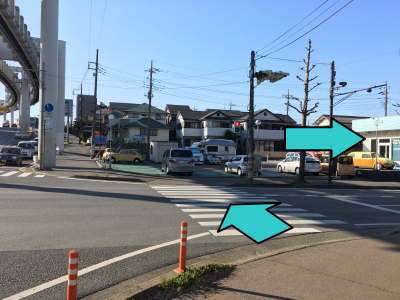 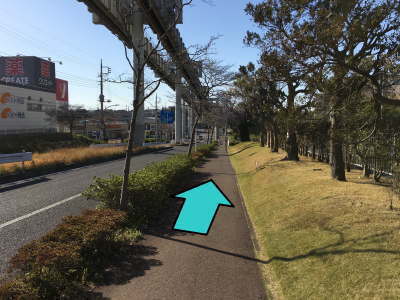 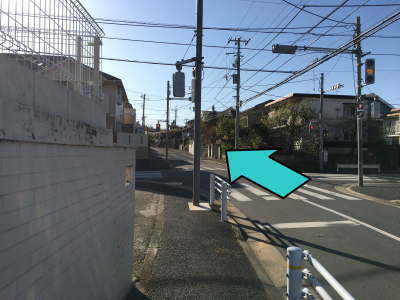 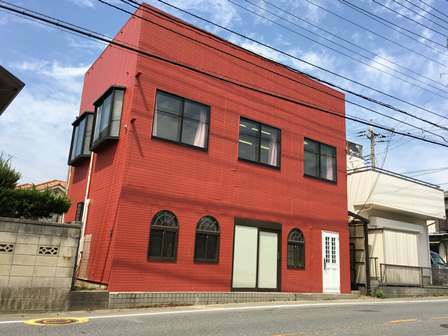 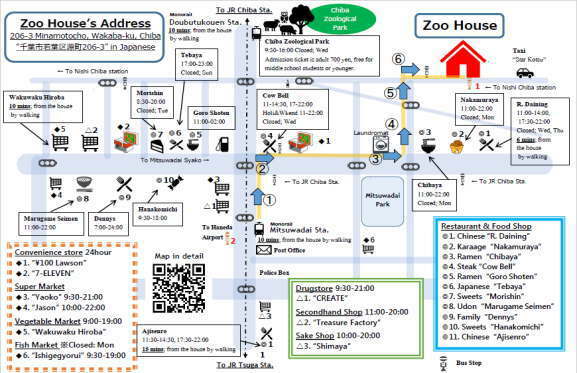 After you go out at the ticket gate on JR Tsuga station and turn right, please go to Monorail Tsuga station. 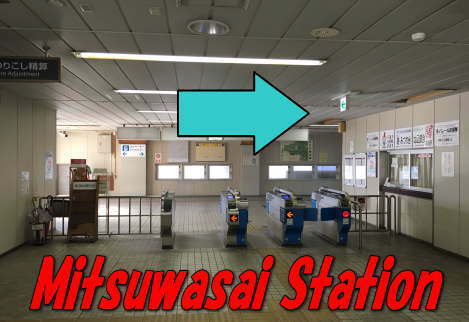 You can go to Mitsuwadai station from Tsuga station by using a monorail ticket is \200 or Suica card. 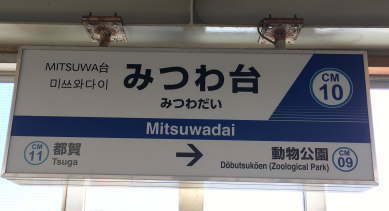 This is a signboard of Mitsuwadai station. 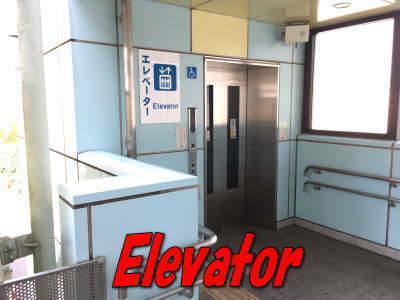 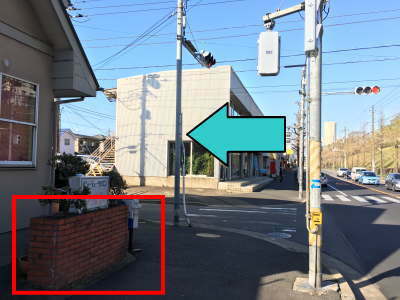 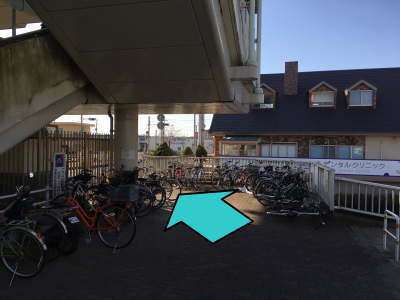 After you go out at the ticket gate and turn right, please go down the stairs or by the elevator. 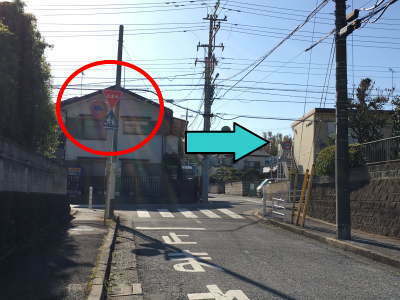 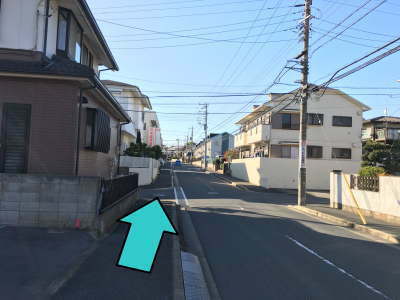 Please proceed in the direction of the arrow on the PDF map. 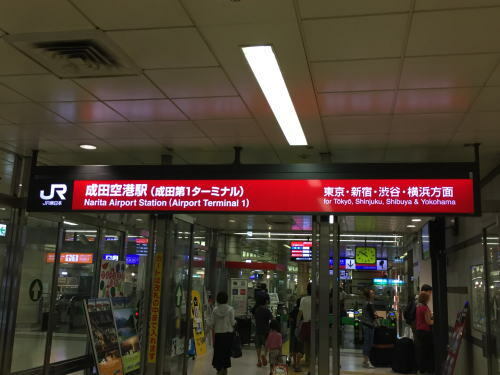 Please take a train of JR Sobu Line (Rapid) from Tokyo station, and get off the JR train in Tsuga Station.